Research: Know your flowers! It can be overwhelming at first, but a great garden incorporates a lot of variety. Annuals, bulbs, perennials, vines, shrubs and even herbs are some to consider. While you might just think that all flowers are the same, the climate they thrive in and their sunlight, water and maintenance needs are so vastly different. By planning ahead, you can know what your plants will need to grow to their fullest potential. Size Accordingly: It may sound silly, but sizing out your garden beds is key. Be sure to walk the area and see what sizes and shapes of flower beds you want, and where. Take the garden hose out and be sure that it can reach to the areas you plan on planting. If it can’t, remember that a watering can can only cover so much ground. As with most things, start small. You can always add more, but it is much harder to take away, especially when it comes to growing plants! Odd Man Out: When planting, aim for odd numbers. Whether that is three, five or seven of one variety...this helps how the flowers appear visually. Even numbers, especially when mixed in with other flowers, can look too chaotic and not natural. This will also encourage you to add more and more variety to your flower beds. Water & Sun: You might think that your plants want every drop of water, but they don’t! Overwatering is a very common cause of dying plants. The thicker the stem, the less frequently your plant needs to be watered. This can vary, however, so be sure to know what each variety needs. Additionally, some varieties of flower thrive more in the shade then they do in the sunshine. Take note of this as this is their primary energy source! Imagine living somewhere where there is always a cause to give to or somewhere to volunteer. Looking for master planned communities in Columbia, South Carolina? Lake Carolina is a premier, active community with homes for sale in Columbia, SC. It might be a month away, but this is the perfect time to start getting prepped for a memorable and relaxing Memorial Day get together for your family and friends. Whether you’ve planned a party before or you’re new to the game, it’s always best to be organized and ready for the big day. Don’t worry! We’ve broken it all down for you step-by-step so you can host a party that will be one for the books. Who will be there? Assemble a list of potential guests and decide how you will deliver invitations. If you plan on sending individual cards in the mail, be sure that you have the correct address for everyone on the list. Email is a much more modern and efficient way to send your invitations and makes keeping track of RSVP’s a lot easier. Try a program like www.evite.com to create and customize personal e-invitations for your party. Be sure to have a good estimate on the final guest list so you have enough food and beverage. Prep a menu of appetizers, main dishes, sides, snacks, desserts and beverages. Be sure to accommodate to food allergies like gluten and peanut or preferences like vegetarian or vegan. Most dishes can be altered slightly to please everyone! Kid friendly snacks and drinks like chips, crackers and juice boxes are great to have on hand to make sure no one is hungry. Always say yes if guests offer to bring something to your gathering - the more variety, the better! Be conscious of the weather when designing your menu as you don’t want the sunshine to spoil or melt any of your food. Stock up on plates, napkins, cutlery, cups, straws and ice before the party. Extra is always better! Get creative! Think bright shades of red, white and blue. Mini American flags, hanging lights, streamers and balloons all help set a festive mood! Design small centerpieces with mason jars, flowers, tea light candles or small flags that your guests can take home with them after the party! Ribbon can add some pizazz to any of your furniture, coolers or light fixtures. Party planning stores often have an abundance of themed-decorations as May 25th inches closer. Keep your eye on the weather forecast as the day of your party approaches. Be sure to have sunscreen, bug spray and trash cans ready to put out. Labeling is a great way to make your guests feel more comfortable in your home and know where things are, which saves you from answer the same question 20 times! Let your guests know where the bathroom is, where they can drop their shoes and handbags and where they can get ice and beverages. Select a few games that guests can play (both children and adults) and leave a few decks of cards out, too! Food and beverages should be the last things to set up. Your Memorial Day party in Lake Carolina will be enjoyed by all. Make your get together your own! Add variety and spice it up, this is simply a checklist and a way to stay organized and on track. If you are looking for a custom home builder in Columbia, South Carolina, be sure to explore Lake Carolina for master planned communities. As you settle into your new home in Lake Carolina, you are probably trying to accomplish a million things at once. From packing and unpacking to making sure everyone is settled in and comfortable, it is easy to gaze over one of the most important aspects: your community. This thought can be overwhelming, but not when you move to a place like Lake Carolina. Lake Carolina is a master-planned community that offers so much more than houses. These houses are homes and neighbors are friends. The heart of our community is our residents who look out for one another, help each other and are a part of genuine, long-lasting relationships. Here’s how to get involved and find your place in Lake Carolina. Trust us, there’s something for everyone in our community! Outdoors: There are over 300 acres of parks and and open space to get out and enjoy. Great weather is also a reason to explore the 30 miles of biking, walking and nature trails. Many of them connect neighborhoods with the lake and other parks. Don’t forget the six miles of shoreline that put the ‘Lake’ in Lake Carolina. The 200-acre lake is perfect for fishing, boating, water sports and swimming. Clubs: With so many residents with so many different backgrounds, interests and hobbies, it’s easy to find others to connect with. There are endless amounts of social groups, committees, neighborhood associations and interest groups to get integrated with. If you enjoy giving back, volunteering both in and outside of Lake Carolina is a perfect way to do so. Websites like www.volunteermatch.com or www.serve.org can help you find opportunities you are interested in nearby. Town Center & Village Green: The Lake Carolina versions of a quaint Main Street live in both the Town Center and the Village Green. Shops, businesses and quaint dining experiences keep the small-town feel of Lake Carolina while the community only continues to grow. Whether you have friends visiting and want to show them around or you want to explore on an adventure of your own, Town Center and Village Green are your one stop shop for feeling right at home. Events & Activities: The Riverbanks Zoo, EdVenture Children’s Museum, Columbia Museum of Art and The State Museum are just a few of the attractions that surround the area. Every year, Lake Carolina hosts over 20 events throughout the community, from an annual Oyster Roast and Dive-In Movies to Block Parties in the Town Center and Farmer’s Markets, there is always something to do on any given weekend. Active Lifestyle: The onsite Jeep Rogers Family YMCA includes ways to get active in both outdoor and indoor settings. Fitness classes, junior Olympic indoor pool, camps and events are just the beginning. Tennis courts, golf courses and parks are fun for kids and adults alike. Getting active and staying healthy are not only important for you and your family, but for meeting and engaging with others from the tight-knit community of Lake Carolina. There are so many things that make Columbia, South Carolina a great place to live. And being able to have international experiences without even leaving the state is one of them. The Columbia International Festival has been ranked among the top 20 events in the 10-state Southeastern Region by the Southeastern Tourism Society in 1999, 2000. This 2-day event brings together the music, culture, food and performing arts of over 60 countries. While it is just one part of an ever-growing and changing world, South Carolina is made up of many cultures, nationalities, races and language groups. The goal of this event is to bring together the area’s international communities and foster better community and race relations between a variety of ethnic, cultural and language groups. This event is the largest of it’s kind in South Carolina with displays, activities and artifacts from the foreign-born hosts of dozens of countries. On Saturday and Sunday, the International Food Court will allow visitors to taste and enjoy foreign cuisines from around the world. Whether you are looking to have a whole meal or want to sample a variety of tastes, the food court will be open for both days of the event. Beyond the flavors of the world, you can enjoy the different types of entertainment these countries are accustomed to. Enjoy fashion? There will be two International Fashion Show’s throughout the festival to take a sneak peek at the assortment of traditional costumes worn all over the world. The adult fashions will be shown on Saturday and the children’s show will be on Sunday. The Columbia International Festival is also a fantastic place to pick up a gift for someone special or even something for yourself. Authentic clothing, crafts, jewelry and souvenirs from around the globe will be available to purchase at the International Bazaar. Want to see how some of these trinkets and toys are made? Cultural demonstrations will be going on all throughout the event, making it a great time to learn a new skill, speak a new language or find a unique hobby. To top the event all off, the Parade of Nations will take place on Saturday at 2pm, featuring traditionally dressed representatives from nearly 100 countries. The Columbia International Festival will take place from April 18th-April 19th at the Cantey Building of the South Carolina State Fairgrounds. Admission is $5 at the gate, $4 in advance and $1 for children ages 6-12. Both children under age 5 and Active Duty Military Personnel will be offered free admission to the event. For more information, email festival@ifmusa.org or visit http://www.cifonline.org. Lake Carolina is not only a perfect place to find things to do, it’s the perfect place to live. Imagine living somewhere where there is always something new to explore and fun facts to be uncovered. Looking for a custom home builder in Columbia, South Carolina? 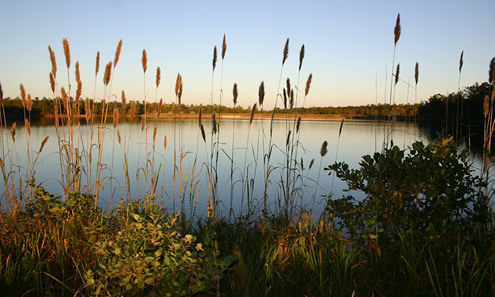 Be sure to explore Lake Carolina for master planned communities. Spring is here and it is the perfect time to get outside and enjoy activities that the whole family will love. And if you’re looking for fun with some Easter hop in it, you’re in luck! There is plenty to do this weekend that will excite the whole family and those of all ages. The Rockton, Rion and Western Railroad has been in the business of railroad history for over 42 years. On Saturday, April 4th, they are offering exciting activities for the whole family. There will be storytelling, face painting and of course the Easter Bunny himself will be riding along! Trains will be leaving at 10am, 11am, 12am, 2pm and 3pm. The Rockton, Rion and Western Railroad is owned and operated by the South Carolina Railroad Museum, Inc. For more information on the event, click here. VillageChurch will be hosting their 14th Annual Easter Eggstravaganza on April 4th. Located at the Jeep Rogers Family YMCA, the soccer fields will be covered with over 20,000 eggs. Goody bags and an appearance by the Easter Bunny are just some of the fun things that will be at the event. The Richland County Sheriff's Department and Fire Department will also be there and the event includes a free lunch for the family. The Eggstravaganza beings at 11am. There will be tons of free family fun on April 4th at the Granby Gardens Park. Families and children can enjoy face painting, fire trucks, treats and balloon artists along with a meet and greet with the Easter bunny. At 10:30am, there will also be a free Easter egg hunt and pictures with the Easter bunny to follow at 11am. Granby Gardens Park is located in the Cayce Municipal Park. More information can be found here. The Chick-fil-A at 230 Bush River Road will be holding their 3rd annual Easter Egg Hunt. Food, games and pictures with the Chick-fil-A Cow and Easter bunny are just some of the fun, free events they are offering! The festivities begin at 10am on April 4th and will go until 12pm. For more information, visit the Chick-fil-A website here. All of these events and more are just some of the ways you can get out and about during the weekend and have something fun for the whole family. Don’t be afraid to venture to a new place or create a new tradition for your family that is egg-cellent! There is always plenty of family fun to go around when you live in Lake Carolina. Looking for master planned communities in Columbia, South Carolina? Lake Carolina is a premier, active community with homes for sale in Columbia, SC.